First of all I would like to thanks Sennheiser for finally sending me out a sample of one of their products to review. After years of trying to get hold of them, it’s good that I was able to finally receive an earphone for a trial review. These earphones are one of the most expensive universal earphones on the market, where they come in at a whopping £550. There are many custom fitted earphones that go easily beyond this price tag, but in terms of universals, there are very few that actually do. Since 2012, I’ve been using my Audeo Phonak PFE 232’s and to me nothing has really come close to taking them off the throne. Some have come very close, but haven’t quite hit the sweet spot. I was therefore intrigued to see how a single “Dynamic linear-phase driver with extremely wide bandwidth (XWB)” (taken from Sennheiser’s website) would try to dethrone my PFE 232’s dual Balanced Armature drivers. I shall be reviewing the earphones at the £550 price tag. Now let’s get to on to written review! The review unit I received had clearly been used and it came to no surprise that the box looked a bit scruffy. However, something I was really shocked by was the fact that I received earphones that were actually cracked – yes the housing on the right earphone had cracks along it. 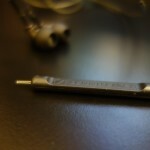 I don’t know what other reviewers have done to it, but it’s worrying that an earphone is physically cracked. 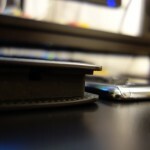 Fortunately, this is only the outer housing and it doesn’t affect the sound quality. I just felt I should mention this, in case you were wondering from the pictures. The above to me is not really sufficient – I would have wanted to see a lot more, such as a soft carrying pouch, an aeroplane adapter, some extra silicone tips which are double/triple flange, foam tips and in-line mic control cable. At the given price tag these things should have been a norm, but unfortunately none of them were included. There’s only a really bare minimum in the package contents, which was surprising. 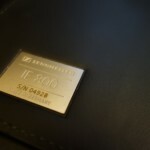 To make sure it wasn’t only my review unit, I double checked online and unfortunately this is what you’ll receive with your IE800, if you were to purchase them. 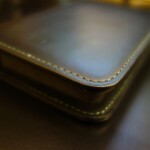 On the plus side, the case feels premium and has its own serial number. 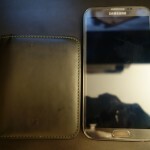 It is slightly big to carry around (as you’ll be able to see pictures of it next to my Samsung Galaxy Note 2) – however it should be noted that the case has no place to put your extra tips, if you were to carry them with you. Overall the packaging and accessories, were very disappointing, even at a cheaper price I would have been a little disheartened. At the given price, there’s no excuse for Sennheiser to exclude £10 (if that) of accessories. The build quality of the earphone is a little hit and miss, it’s linked quite strongly with the design of the earphone and that goes for the cable design the IE800 comes with. This is why the design score at the top of this review is relatively low, as I feel the design of the earphone is what really lets down these earphones. First of all, as a norm in most earphones, they are terminated by a 3.5mm gold-plated right-angled jack, moving up the wire, you’ll quickly realise that these actually have a break-away cable. Supposedly the 3.5mm terminated cable is an extension cable – however I completely fail to see how or why this is seen as an extension. 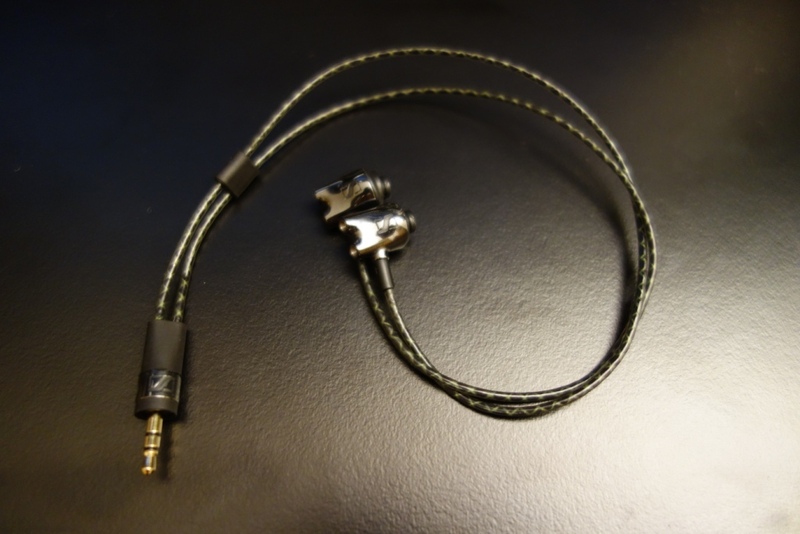 This “extension” cable is terminated by female 2.5mm jack, which then plugs into the IE800’s male 2.5mm jack. There’s a few things that completely baffle me here – first of all, why is there even an “extension” cable, when the cable isn’t really “extended” in any way. The earphones’ cable on its own is 30cm from the very end of the wire to the jack; whereas the “extension” cable is 80cm. This gives it a total length of 110cm, 1.1m – which is actually shorter than the 1.2-1.3m norm you find in most earphones these days. Thus, I cannot quite understand the logic behind this madness – why on earth is there a really short cable, then an “extension” that really doesn’t provide any sort of extension whatsoever. If there’s an explanation to it, why isn’t there other extension cables included – such as ones with in-line mic controls for Android, iOS and Windows Phone? 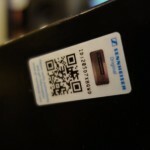 I honestly have no idea what Sennheiser were trying to achieve here – maybe a way of creating a supposed removable cable? Speaking of which, the cables are not removable, which I find greatly disappointing. I’ve in fact gone 3 separate cables on the PFE 232s – which just came down to heavy use and natural wear and tear – let’s just take a step back and think if I were to own these earphones and wear them daily – and the jack, by the earphone were to break, after the 2 year warranty had expired, am I to solder it, throw the earphones away or what? Yet again, no idea what Sennheiser were thinking here, considering their other in-ears actually offer a removable cable, such as the IE8’s and IE80’s that have removable cables. Why doesn’t their top-end line have the same, if not better removable cable? 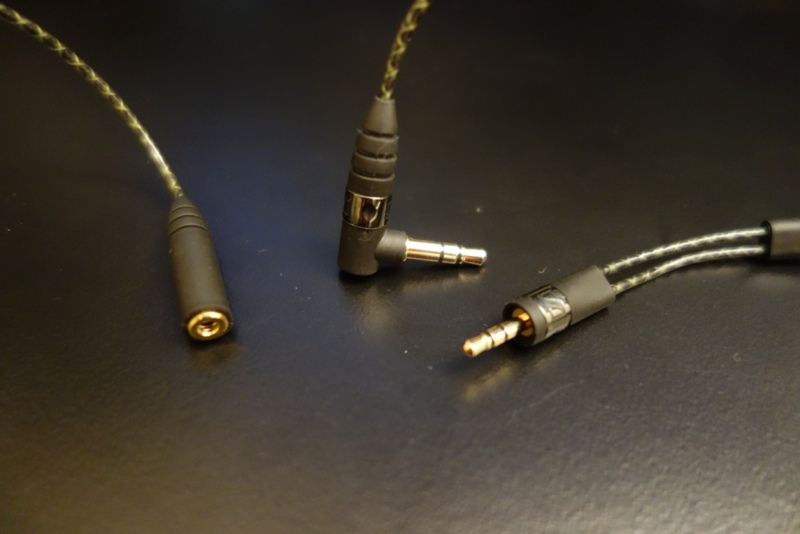 The decision to not include a removable cable is beyond me, but so was the lack of hacking a gold plated 3.5mm jack in their IE8’s, which caused massive problems for me, where at the time even their £15 model CX range earphones came with gold-plated jacks. 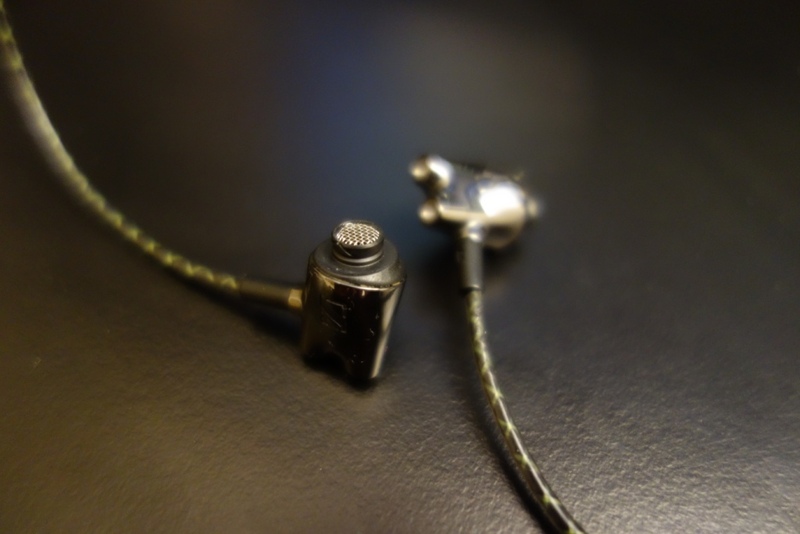 In a nutshell, the IE800s are really poorly designed when it comes to having a well built and thought out cable. It doesn’t make sense to have non-removable cables past the £250 mark, let alone when we’re hitting the £550 mark. Furthermore, expanding on the cable design, I feel that the actual connection part causes extra weight to be added on these earphones, which makes these earphones very uncomfortable to wear, especially whilst being on the move. As earphones are designed to be used on the move, microphonics (cable noise) is of course a very important factor. 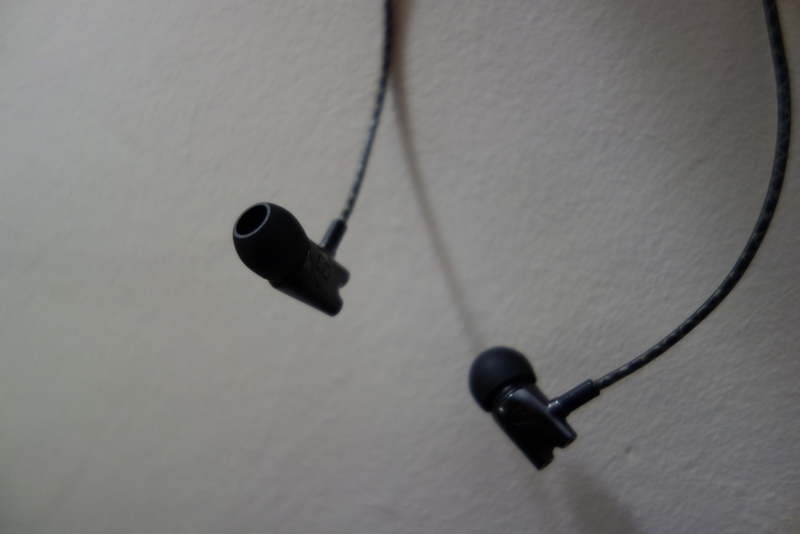 In this respect, the IE800s again shoot themselves in the foot – the cable noise is bad, when these are worn straight down, and this is all down to the silly extension cable connection. 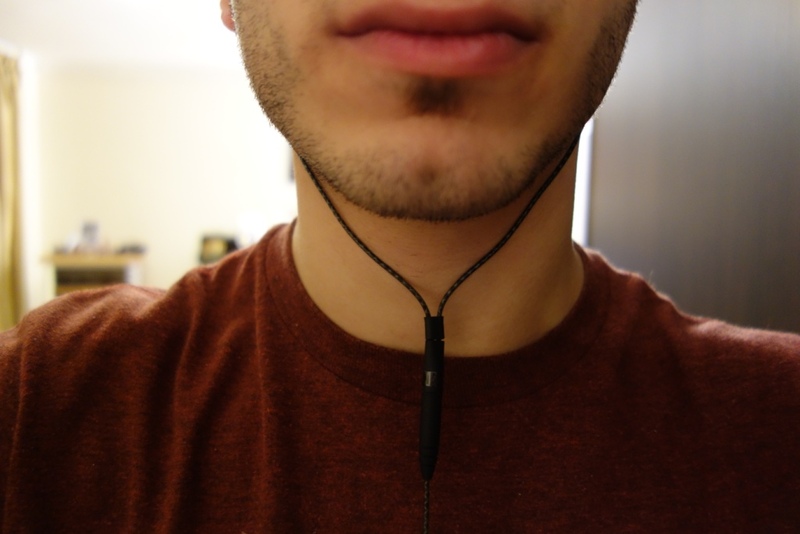 Of course to eliminate this, it’s easy to wrap the earphones over-the-ear – or so you thought. Whilst I wear earphones over-the-ear comfortably on all other earphones that are designed that way, or even just to eliminate their cable noise, such as with the Fischer Audio Consonance. 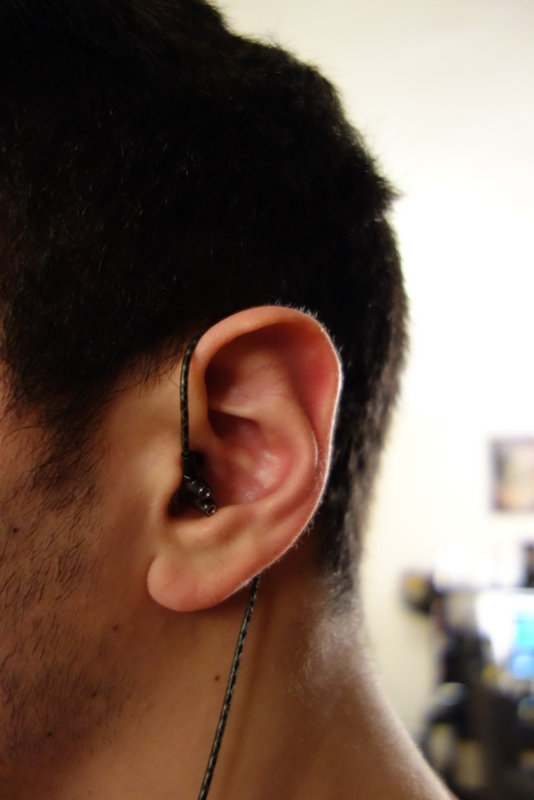 In this case, the Sennheiser IE800s are so poorly designed, that when you wear them over-the-ear, the cable between the Y split and the earphones is so short that it literally feels like the earphones are strangling your neck. 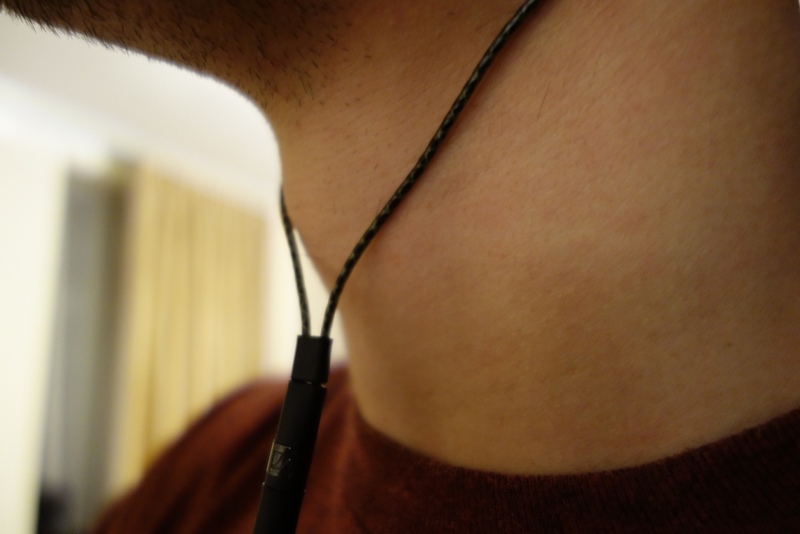 I do have quite a long neck, but never have I come across such neglect, especially not on a high-end earphone that costs £550! I should also note that the cable, when in cold conditions becomes stiff, which isn’t the best thing in the world, especially when there’s cable noise and/or if you want to wrap it over your ears. The cable itself is strong though, and despite it being quite thin, I do not feel worried that it might easily snap. 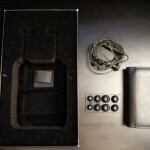 Finally to round off the build quality section, on a slightly higher note, I like the construction of the earphones, which I can only presume is some sort of ceramic (as I’ve previously seen in in the Klipsch X7is) – however as noted at the top of this review, the unit I received has a cracked housing. I’m not going to judge the earphone based on potential abuse by other reviewers, as I doubt I would have been able to break it myself, unless I literally threw them on the ground, stamped on them, or repeatedly bashed them on a table. I don’t quite understand how they’ve cracked, but either way – it’s just something to note, rather than criticise. I like their housing and find it also attractive, but would have liked a much cleared left and right indication – such as the one found on the Monster Turbine Pro series, or even a little dot on the left driver, to give you a sense of which side is which. 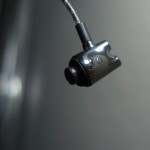 Overall, these small earphones are built at a decent standard, but their overall package build quality is quite poor – this greatly links with the design of the earphone, but I feel that it should be mentioned and written about in the build quality section, as it’s the overall build quality of the earphone that we’re talking about, not just its physical appearance to the world. The looks of the earphones is nice – it reminds me of a jet’s turbine engine or or a Formula 1’s exhaust – a really cool design that looks modern. The colour of it is also very nice – it is a bit of a fingerprint magnet, but due to their tiny size, it’s very easy to clean. I can see all types of people wearing the earphones, in terms of its looks and like what Sennheiser have done in terms of its physical appearance. Furthermore, despite hating the cable, I do like its looks – it has a slight green coloured snakeskin look to it, which is quite unique to see. 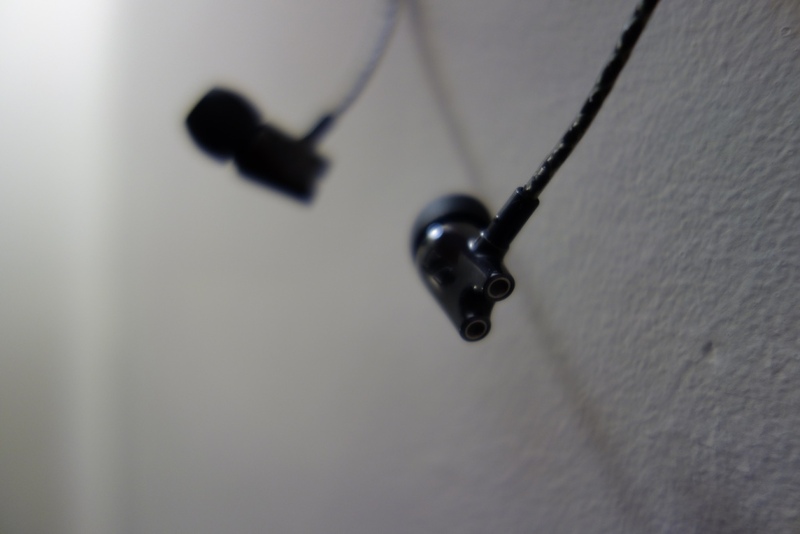 The isolation of the earphones is sub-par for its standard, and that comes down to its physical size. It’s a small earphone, that sits very subtlety in your ears. However due to its physical size and presence, it doesn’t block out any external noise passively, and furthermore due to it being a dynamic driver, which requires a port for the driver to “breathe” it lacks even more isolation from external noises. This is a shame, as isolation is a key factor for people using earphones, especially when having them on public transport where things can get very noisy. Now I don’t know where to start or finish with the comfort section, but I’ll try to make this as coherent as possible. First of all the earphones themselves, with their small-factor design – I found this to look nice and be a cute earphone to insert into your ears, however when it comes to actually moving, anywhere (with no matter what tip I used), the earphones would casually start slipping out of my ears. 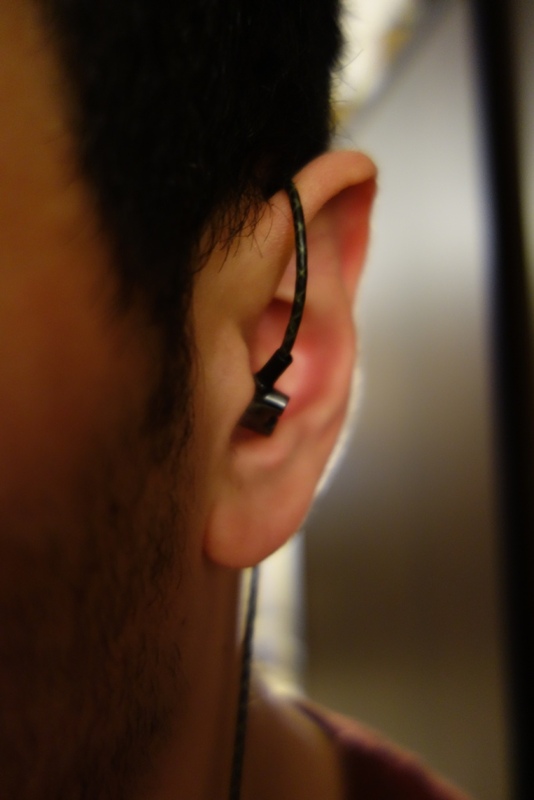 I mean you can completely forget running with these on – even when wearing them over-the-ear, as the cable is quite stiff, it starts pulling the earphones out of your ear canal, simply due to tension. On that note of the ear tips, they cannot be exchanged for any other tips you can find on the market. This comes after Sennheiser has opted to choose a design which essentially locks the earphones with Sennheiser’s own ear tip design! The ear tips do stay locked into the earphone’s housing well enough, but what if I want to put on foam tips, or if I lose my tips for my size – do I really have to purchase tips from Sennheiser, whilst knowing they’ll be grossly overpriced, or even discontinued in a few years to come? I’ve seen a few manufacturers do this in the past, and it has failed miserably. Why Sennheiser have now decided to do it, is yet again beyond me – none of their other models from my knowledge, have this silly design feature, so why does the IE800s have it!? You might be wondering why I’m including this in the comfort section of the review and not the build quality – well it’s quite simple – the tips are a huge part of the comfort of the earphones – if the tip isn’t right, or is too deep, shallow, big or small, then you won’t be comfortable. In my case my ear canals are normal enough, where I’ve never had any problems with medium sized silicone tips from other manufacturers. Whereas, with the IE800s they were often slipping out, especially if I did any sort of running or moving about – heck even walking make the earphones to fall-out after awhile of wearing them! The earphones’ housing and thus tips are not well designed and therefore cause discomfort to me, as I don’t feel comfortable wearing them and knowing that the earphones will stick in my ears while I walk/run about with the earphones on. Now on to the cable – which I said I would touch upon again. Due to the extension cable, these earphones carry a little extra weight, which creates cable noise, but also the earphones to weigh down. 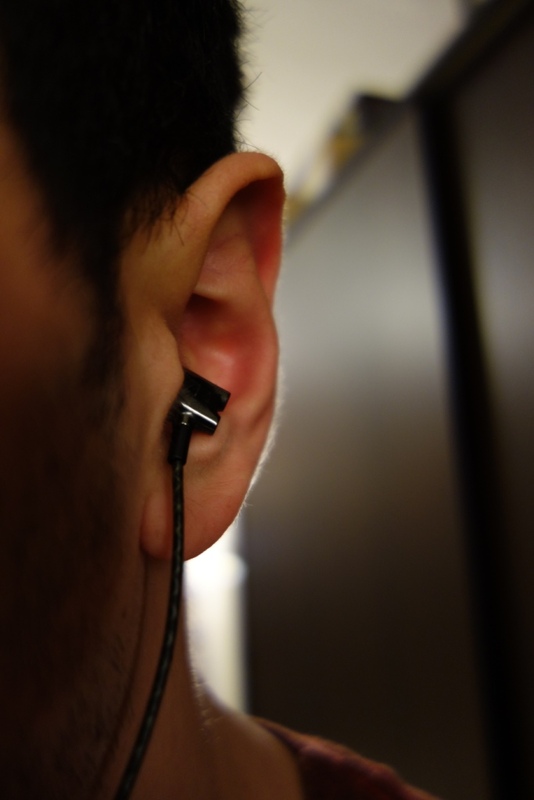 Therefore, if you’re wearing them straight down, you’ll see that the earphones naturally want to be pulled out as the Y split extension cable is pulling them down. So to counter this, you naturally would wear the earphone over-the-ear, and this is where that discomfort of the wire literally feeling like it’s strangling your neck comes to play. I won’t repeat myself here, but why this is designed in this way is beyond me. 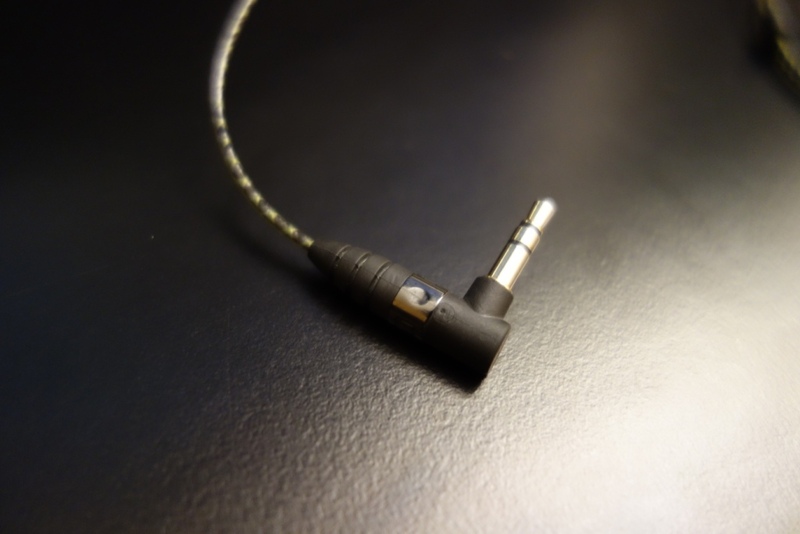 I was really on the fence to give this a worse rating that the Denon C751s, which had asimilar problem, but not the ” cable is too short, so it strangles you” – however giving this a 4/10 rating in the comfort section would equate to it being as uncomfortable as the ear aching Aurisonics ASG-1s. Therefore, the 5/10 comfort rating is very low, especially when you consider its price. Overall, Sennheiser really didn’t do itself any favours with its design and thus the overall comfort that the earphones offered. Despite having so many design flaws and getting frustrated at the discomfort a set of £550 earphones were bringing, I must say its sound was sensational. In terms of a direct comparison to the PFE 232’s with grey filters, the IE800s had less sibilance, and thus more pleasant highs, excellent mids, which weren’t as recessed as the PFE 232s and lows that really had a good punch and extension to them, without flooding the mids too much. However, the problem I found with these earphones as described by my good friend Kai, who actually helps me host this site: “The earphones sound good, but they’re missing this Je ne sais quoi factor” – this comes from the lack of soundstage that the IE800s offer. It’s as if Sennheiser were flying a plane, went full throttle with the IE8s (which have one of the widest and far-sounding soundstage I’v ever come across) and then yanked it back completely and produced the IE800s! 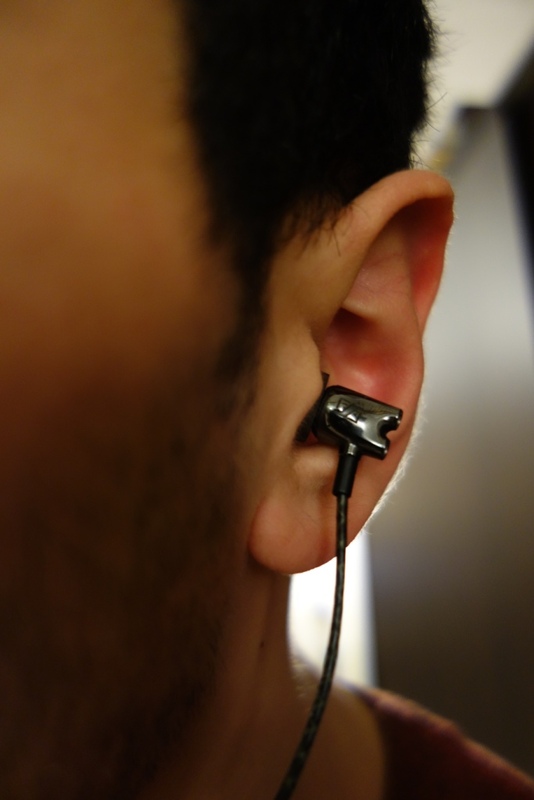 The soundstage, despite being good, isn’t up to par with the rest of the earphone’s sound quality attribute. Normally this wouldn’t be a problem, but at its given price point and the expectations, the PFE 232s completely outshines the IE800s in terms of soundstage. The positioning, decay and even musical separation is miles ahead on the PFE 232s. At this level of sound there’s no real excuse, however I can bet top-dollar, that this is due to the physical size of the earphones, which again must have bee a design choice – a recurring theme now. The low end extension is extremely good, the sub-bass really rattles your ear canals, but doesn’t overdo it too. In terms of comparison, I preferred the sub-bass found on my PFE 232s, especially when they’re fitting with custom moulds, which further increase their deep sub-bass extension. In this respect, I felt that there’s only so much a single 7mm driver could do, no matter how it is designed. The mid-bass too is very nice and very much controlled and accurate. The mid-bass is exactly where I would like to see it – just right and not overdone. 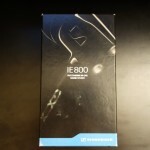 unlike other audiophile earphones, I felt that the IE800s were actually capable of producing those low-end tones when called upon – a little like the Sony EX1000s could, but in a better way. The mids are honestly perfect to me, a full blown 10/10 for a universal – however if I had to be critical against neutral sounding earphones out there on the market, like the Fischer Audio TBA-04s or Shure’s SE535 and SE846, I would say that the mids were slightly pushed back, due to their mid-bass presence. The Se846, after a demo felt that they addressed the issue of having fantastic mids (such as the ones found on the SE535s) and lows, due to the sheer amount of drivers they have in there, but they also come at a higher premium of near £800. 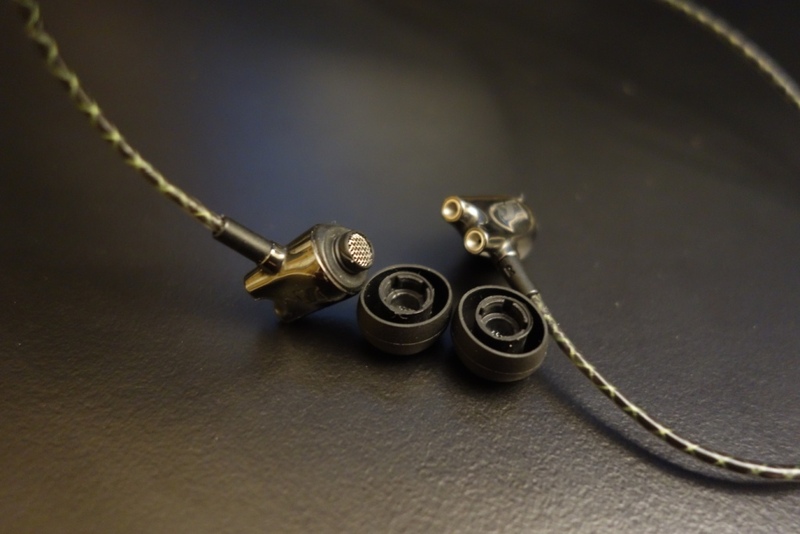 So taking it into perspective and looking at an earphone that costs £550, I felt the mids were really well done – forward enough to be enjoyed and not too subdued due to the lows. The highs were in all aspects perfect – they have an excellent extension, whilst having a not too sibilant sparkle. 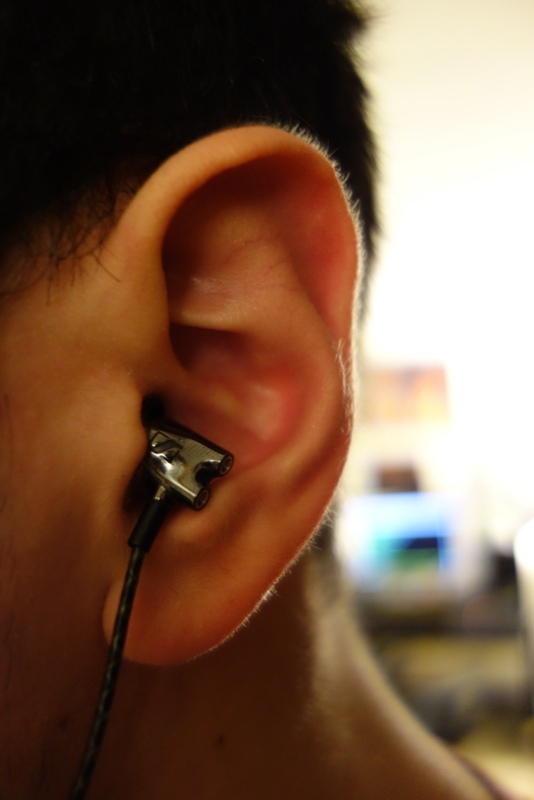 Unlike my PFE 232s, which can be a little sensitive to some people’s ears, the IE800s were excellent. The soundstage, something I touched upon at the top of this sound quality section, is a little lacking at its given standard. 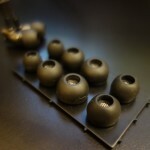 The soundstage is very good, but it could have been a lot better, especially in terms of depth and width. This is being slightly critical of it, but I feel it’s a fair assessment, at its given price-point and comparison to other earphones in its space. 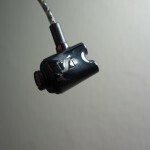 Due to its somewhat missing lacking soundstage, it missed this unique sound and didn’t give the impression of being submerged into a unique audio experience. Yet with my PFE 232s, I still turn my head at times, as the music separation and placement is world class. Overall, I feel that these earphones’ main problem comes down to the design. There shouldn’t be any “ifs” or “buts” at the £550 pricepoint, but if there was more attention to the design, I feel that the earphones would have been one of the best universal earphones ever made. This includes the cable design in its entirety, the physical size of the earphone and the overall design of the accessories and tips. Despite these sounding great, I actually had them sitting in a drawer more than I actually used them, simply because I couldn’t stand their design flaws, which really annoyed me in terms of comfort and more so knowing that they are £550 earphones that fail to meet the basics of an earphones’ standard. In conclusion, they’re decent earphones, that sound spectacular, but couldn’t ever see myself recommending them, due to its fundamental design flaws that make it an earphone. 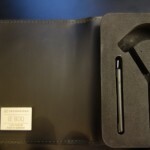 This entry was posted in Audio Reviews and tagged Earphone, Earphones, IE800, In-Ear, Review, Sennheiser, Sennheiser IE800 on March 18, 2015 by TotallydubbedHD. 100% agree with review ref fit. I complained to Sennheiser 2 years ago and shocked they have not improved ear plugs. This is insignificant for their turnover but significant minus for the brand. I also own HD 800 which are fab. Will now spend a bit of time warning on all reviews so brand feels pain and hopefully they will fix for rest of us.